We’re extremely excited to get into 2019. With new clients and new properties on the horizon, it’s all too easy to rush through the end of the year. But first, let us take a moment to reflect on how far we’ve come this year. We embraced change. We took hold of new opportunities. We worked hard for our clients. And right now, we are feeling grateful for it all. We set some pretty lofty goals for the year, both personal and professional. We live by the concept that when you speaking your goals out loud, it becomes more likely that you’ll achieve them. Charlie and Jeni moved into a new home in Wauwatosa. After 6 months of renovations, our duplex was finally converted into a charming single family home. Jonathan Newby joined the Houseworks Collective team. The man is a genuine friend and a social butterfly (on top of being a high-producing agent!). With the growth of our team, we launched our new Houseworks Collective brand that conveys our elevated service and style. May was a landmark month in our personal lives. Charlie and Jeni got married! Wil and his wife Mandy had their first child! It truly was a jam-packed year in life and business. The team enjoyed the company of our clients with cocktails at the Kimpton. The event was a great time to reconnect with our clients on a lovely summer evening. Light Photography, our real estate photography business, officially expanded its services to include drone photography. An excuse to buy new tech toys? Count us in. Jeni officially joined the Houseworks team full time as a designer, marketer, and business organizer. After contributing “on the side” for a couple years, and with the growth of Houseworks Collective, it was time to make it official. 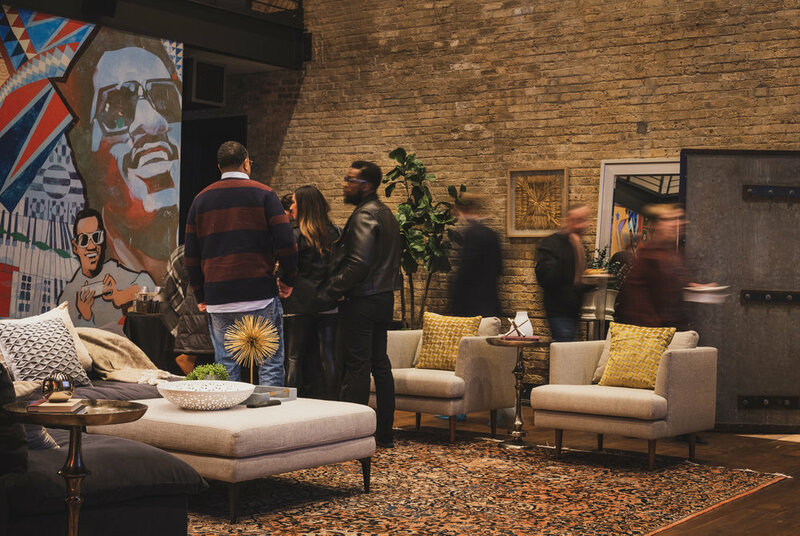 We hosted another great client event at our Twilight Preview of a gorgeous downtown loft. Seeing your faces makes the dark winter nights brighter! Charlie and Jeni purchased a third income property - and yes, this one’s a project. We’ll renovate and rent the duplex in 2019. Merry Christmas and Happy New Year to our friends, family, and colleagues!